Look no further than this year’s Best Picture nominees to see a changing face of cinema. With the category’s nine nominated films split between traditional Oscar bait (like “Dunkirk,” “The Post” and “Darkest Hour”) and an ediger set of works (like “Get Out,” “Three Billboards Outside of Ebbing, Missouri” and “The Shape of Water”), the nominees cover a range of voices. And this year, Greta Gerwig (“Lady Bird”) and Jordan Peele (“Get Out”) became the fifth woman and fifth black man to be nominated for Best Director. But the path to more inclusion in the film industry has been slow. The 2017 Hollywood Diversity Report by the by the Ralph J. Bunche Center for African American Studies at the University of California-Los Angeles found that racial minorities and women remain “severely underrepresented” in film and television. The report, which studied 200 top-grossing films and 1,206 small screen shows, found that despite making up more than 50 percent of the U.S. population, women filled just 29 percent of lead acting roles. African-Americans fared worse, making up 40 percent of the U.S. population but only 13.6 percent of lead actors. At the 90th Academy Awards on Sunday, the top-nominated films address issues of LGBTQ identity, racism, xenophobia and classism. 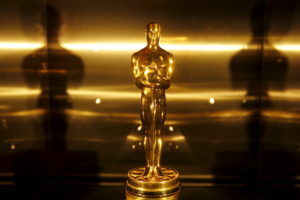 This comes three years after an internet backlash against the Academy, using the hashtag #OscarsSoWhite, criticized the award show for low representation of artists of color. What does all this say about the changing state of cinema? To answer that question and more, the NewsHour (@NewsHour) will be joined on Twitter at 1 p.m. EST on Monday by Ann Hornaday (@annhornaday), chief film critic for The Washington Post (@washingtonpost).